who wishes to conduct dives that warrant DPV use and techniques. extended penetration, touring, or exploration. Must be qualified as a Cave Diver. Demonstrate perfection of buoyancy and trim while diving using a DPV. On at least one occasion an out of gas drill will be performed without the donor being aware of whether it is a drill or real out of gas situation. Exit the cave during a simulated zero visibility situation while avoiding entanglement or loss of the guideline and maintain team touch contact. While using DPVs perform at least 2 towing methods, at least one of which is while sharing air. Simulate a failure of all DPVs in team and swim the units out of the cave. SAC rates and distance/time calculations. We will gather data regarding your SAC rate and the teams' speed and practice/plan dead reckoning into the cave so as to plan dives. Gas Matching for dissimilar volume cylinders. No dives may be conducted to depths greater than the qualification of the student. decompression portion of the dives. All dives will be planned using the best gas in consideration of PO2, END, and Decompression requirements. All dives must be completed within both the oxygen CNS% and OTU limits. Any and all of the above limits not thoroughly understood by the student will be reviewed in a classroom setting. You may wonder why the price is not set like the other classes are set. The fees for this class vary with the past experience of the diver. 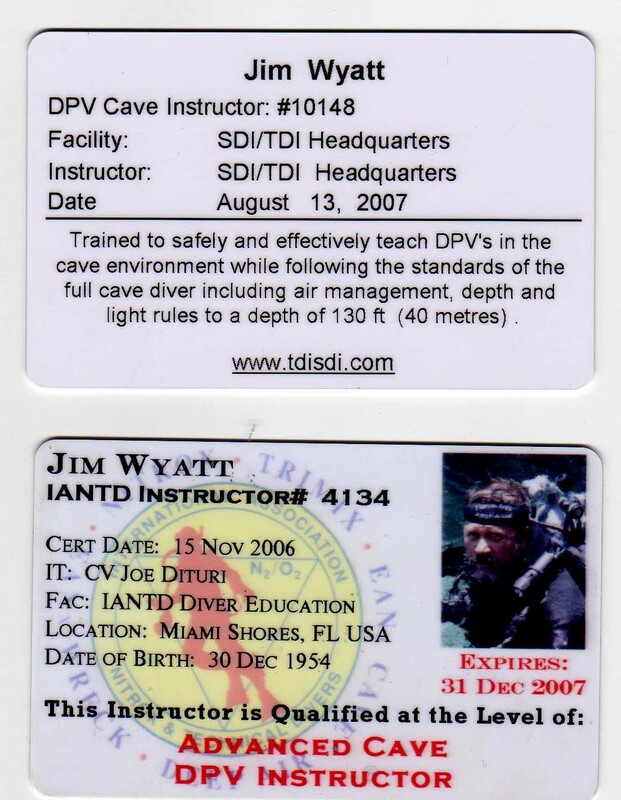 If the diver has never piloted a DPV at all it will take a lot longer for us to get the diver up to speed with thre DPV than it would, say someone who has been riding DPV's for years and simply needs the new skills required for cave diving with the DPV. Training standards require a minimum of 3 training dives. 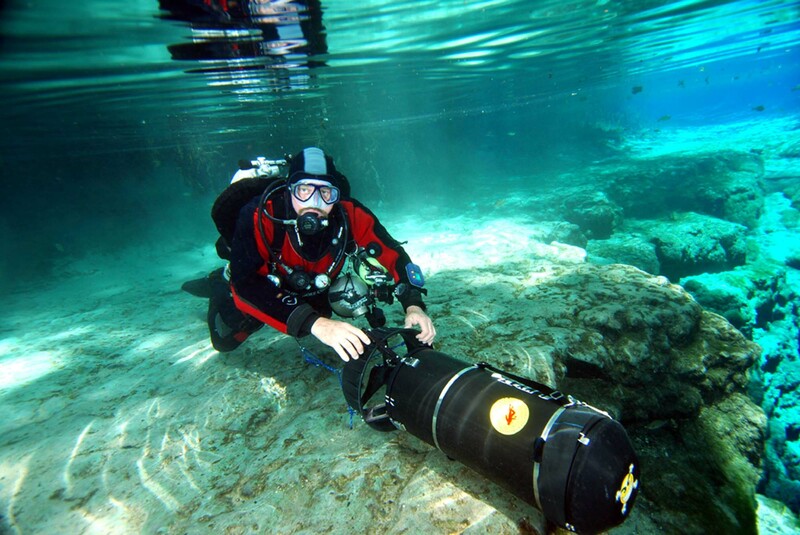 I have found it takes several more unless the diver is very experienced with the DPV when s/he shows up for class.